While there are many variables that affect cellulose wall-spray applications, using a few simple guidelines can eliminate some of the guess work when trying to achieve optimum performance. We recommend an applied wall-spray density of 2.5 lb/ft3. Approximately 1 to 1.2 gallons of water should be used per 28 lb. bag of insulation. The material should be damp, but not wet, with only one or two drops of water capable of being squeezed from a handful of material. During application, you should maintain a distance of 30 to 36 inches between the spray head and the wall. Begin applying material at the base of the cavity to about eight inches. Then quickly apply a coating along the sides and top of the cavity. Return the bottom, and fill the cavity using a side-to-side motion. Material should extend just beyond the studs and a stud scrubber should be used to remove excess insulation. Typical drying time is 24 to 48 hours. Insulation should not be covered until adequately dry. FIBER-LITE PLUS and WAL-MAT are recommended for wall-spray applications. Technical assistance is always available. Just give us a call. Did you know that office buildings consume the most energy of all building types – or that 34 percent of that energy is used for heating and cooling? You may have heard of the Sensible Accounting to Value Energy Act (SAVE Act S17373) and wondered exactly what it is. Here is a link for more information about the ACT. The SAVE Act directs the Secretary of Housing and Urban Development (HUD) to issue guidelines for all federal mortgage agencies, including the Federal National Mortgage Association (Fannie Mae), the Federal Home Loan Mortgage Corporation (Freddie Mac) and any affiliates, to implement enhanced loan eligibility requirements, for use when determining the ability of a loan applicant to repay a covered loan, that account for the expected costs of energy at the property involved. Turn down the green washing and turn up the information level! That’s our mission here at the Fiberlite Technologies Blog. 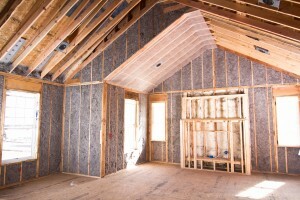 At FTI, we are dedicated to producing great cellulose insulation products that help people enjoy lower energy bills, quieter living spaces and a safer building or home. We also know that our products, made from over 80% recycled paper (most of it post-consumer newspaper,) also are truly green and help to protect the environment and our planet. That same sense of stewardship drives our editorial production here on the FTI Blog. In a market place awash with claims of green it’s important for home owners, businesses, builders and architects to have a reliable source of information. So we strive to bring our readers straight forward posts and stories about our products and a wealth of other interesting content on cellulose insulation, green building and energy savings tips and trends.